A distinct advantage gained in dealing with Shivani Gems is our belief in vertical integration. Your buyer will have access to an organization that takes rough diamonds from the mines and creates fine diamond jewelry. Shivani is involved in this detailed process every step of the way, allowing us to better serve you. In today’s extremely competitive landscape, Shivani Gems has differentiated itself from the competition through our core values. We focus not only on sales numbers and competitive pricing but always provide the highest level of service. Orders are customized according to color, clarity, calibrated sizes and/or specific weight ranges. 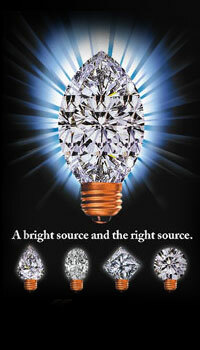 Exclusive branded diamonds customized to our customers specific needs. Detail oriented staff operating under strict diamond grading practices.